I’m starting to realise something, if I didn’t know any Muslims, if I wasn’t told anything about Islam from websites and information pamphlets, if all I had as my source of information was the Quran, I would practice the religion completely differently to how it usually is now. Ok so I still haven’t finished it (I know I know tick tock) so I can only base this blog entry on what I have read so far. I also cannot read Arabic so basing it on an English translation (M. A. S. Abdel Haleem, oxford classic, to be precise). But the Quran doesn’t seem to make Islam as ritualistic, OCD, complicated and nitpicking as Muslims would have you believe. First things first: Hadith. Now these are the stories/sayings of the prophet Muhammed, they are not part of the Quran. For the most part they are considered pretty essential to a Muslim to tell them how to practise their religion and to expand on what the Quran says. I have noticed in the last few years that all too often Muslim’s seem to put hadith equal to what is meant to be the word of God, the Quran, in fact in some cases they put it above. I’ve thought that strange before truly knowing the religion, now I am learning the religion I find it wrong/haram. Hadith’s were not written by the prophet, they were collected after he had died. The prophet was also just a man, he isn’t the son of god, or divine, a human with the faults that humans have. So why are people using his alleged teachings and sayings as an essential part of their religion? These are just SOME quotes from the Quran to show my point, there are more. Things such as stoning are not mentioned anywhere in the Quran, that comes from hadith, the burka/niqab too. People tell me the hadith helps them know how to be a muslim, but surely if it isn’t in the Quran, then there is a reason why God didn’t put it there? He doesn’t strike me as the forgetful type. Use left hand to wash right hand, up to and including the wrist, 3 times. Then, use right hand to wash left hand, up to and including the wrist, 3 times. Cup right hand with water and put in mouth, then spit it out, 3 times. Wipe right forearm with left hand, all the way up to and including the elbow, 3 times. Wipe left forearm with right hand, all the way up to and including the elbow, 3 times. Wash right foot, including the ankle, with left hand, 3 times. Wipe between each toe on right foot, with left hand pinky, 1 time. Wash left foot, including the ankle, with right hand, 3 times. Wipe between each toe on left foot, with right hand pinky, 1 time. So can you imagine how much my jaw dropped when I read wudu in the quran (5:6) as: “When you intend to offer prayer, wash your faces and your hands up to the elbows, rub (by passing wet hands over) your heads, and (wash) your feet up to ankles”. Where is the awful sniffing water in my nose bit? Where is the obsession with the number three? Where is the specific right/left hand order? I can guess where… I feel lied to! God doesn’t beat around the bush, he is pretty happy to say exactly who is going to hell and who isn’t. He also states that he can forgive anything other than disbelief and putting another god equal to him. There are certain obligations in Islam that are repeated again and again: regular prayers, giving to charity, being just to orphans, believe in Allah and the last day. These people will receive great reward, and considering how often this message is repeated, it is safe to assume that it reflects on the importance of them. If I only got my Islamic information from Muslims and never read the Quran I would think: “women put a scarf on your head” was written on page one in bold. So much focus is put on that and many other little details, things that have only been given a blip of a mention, or perhaps no mention at all. So many arguments, so many threats. 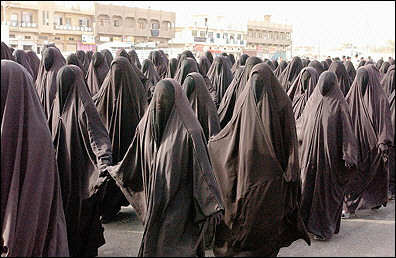 God is probably highly confused why so many are happy to harass uncovered women whilst orphans are being neglected. Halal: Muslim’s have to eat food that is slaughtered in a certain way, with God’s name said over it. Oh and of course, they can’t eat pork. So he even states that he has detailed what you can and cannot eat, I guess that means we don’t need any more information, it is all there. So I can’t eat pigs, I can’t eat a bit of road kill, no running blood, I can’t strangle the animal, nor can I go steal meat from a pagans alter, or push a cow off a building to eat it, or beat it to death. Ok, I understand all that, so why can’t I go buy my chicken from Tesco?! This halal business is, well, just that, a money making business. What I’m reading seems to be pretty clear that unless specifically stated in the quran, ALL other food is lawful, ALL other ways of slaughtering is lawful. 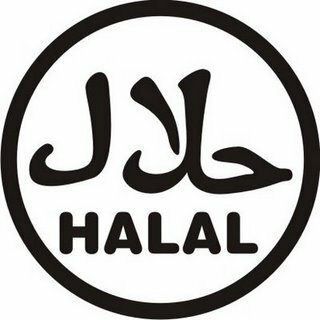 Over 90% of halal meat in England is stunned before slaughter, some countries state that all meat must be stunned, therefore exactly what is different between halal and normal supermarket? The price for one (halal is often more experience). Maybe it’s the fact that supposedly a halal butcher is saying the name of God over the animal? Well my husband does that before he eats anyway. So it is the specific way of cutting the throat. Our butchers slit throats too, however that is neither here nor there because the Quran doesn’t say it has to be killed in that way, just not in the ways given. Using common sense, when they hunted in the time of the prophet they likely killed their game with a bow and arrow etc, not chased after it with a dagger to slit it’s throat. A nice clean kill from a distance is far more humane than wounding until you get close enough to finish it off too. Ok I’m going on and on now. I just feel like I’m reading a completely different book to the Muslims I have met. People often ask me if my husband and I have lots of problems due to having different religions, but I actually believe we would have far more disagreements if I was Muslim: I would be a Quranist, I wouldn’t put much emphasis on hair covering, I wouldn’t only eat halal, my wudu would be short and simple. To some it might look like I would be a half arsed Muslim, but I actually think they are the ones making it harder than it was meant to be. I cannot wait to read more of the Quran, it is truly fascinating to see what the Quran actually says compared to what I have been lead to believe it says.